Earlier this month, Facebook announced that it will wedge its way into an already-crowded corner of online commerce. The social networking site plans to use its giant storehouse of personal data to create a dating service, promising to help users find “meaningful relationships,” not just “hookups,” as Facebook CEO Mark Zuckerberg put it. It remains to be seen whether Facebook’s new service will be a “Tinder-killer” that users flock to, or a flop for a company that’s long been beset with privacy concerns. But there’s one thing Facebook, its competitors, and its detractors should all be able to agree on. When a new dating service launches, it should rise or fall based on whether it can win the trust of users—not an arbitrary race to the Patent Office. Unfortunately, well before it built and launched an actual dating service, Facebook engaged in just such a race. The company applied for a stupid patent on “social dating” back in 2013, and earlier this year, the Patent Office granted the application. Online dating is a perfect example of a software-based business that truly doesn’t need patents to be innovative. Companies have built such services based on what they hope will be useful or attractive to different groups of users, rather than engaging in arguments over who did what first. Patent tiffs are particularly pointless in a space like online dating, which builds on a long history of pre-digital innovation. Placing personal ads in newspapers has a history that dates back more than a century. The first claim of Facebook’s US Patent No. 9,609,072 describes maintaining a “social graph” of user connections, then allowing one to request “introductions” to friends-of-friends. Subsequent claims are variations on the theme, like allowing users to include “preferences” and rank their possible matches. This application should have been rejected under the U.S. Supreme Court’s 2014 decision in CLS Bank v. Alice. In that case, the high court made it clear that simply adding “do it on a computer”-style jargon to long-established ways of doing business wasn’t enough to get a patent. Unfortunately, here, the Patent Office allowed Facebook to pull a similar trick. The company essentially took the idea of introducing available singles through friends-of-friends, added graphics, profiles and the “social graph,” and then got a patent on it. The idea of finding good matches is positively ancient, whether people have been looking for the right lover, the right product, or the right business partner. It doesn’t warrant a patent, and when patent trolls have claimed otherwise, they haven’t fared well in court. To be fair to Facebook, the company may have felt compelled to get its own stupid patent because there are so many other stupid online dating patents out there. In a phenomenon that’s the patent equivalent of “mutually assured destruction,” many tech companies have stockpiled poor-quality Internet patents simply to have a threat to fight off other companies’ poor-quality Internet patents. This arms race, of course, costs many millions of dollars and benefits no one other than patent system insiders. In the world of online dating, wasteful, anti-competitive patent litigation isn’t just theoretical. Earlier this year, Match Group sued up-and-comer Bumble for patent infringement. The suit was brought shortly after Match reportedly tried to purchase Bumble. And in 2015, Jdate sued Jswipe, accusing their competitor of infringing U.S. Patent No. 5,950,200, which tried to claim the idea of notifying people that they “feel reciprocal interest for each other.” It was a basic patent that sought to encompass just about the whole concept of a dating service. This growing web of stupid patent claims won’t stop Facebook from getting into online dating. It won’t stop Facebook’s giant competitors, like Match Group or IAC. But for an entrepreneur who wants to start a new business, the costly dueling patent claims will be a barrier. The battle to win the hearts and minds of online daters should be won with apps and code, not with patents. 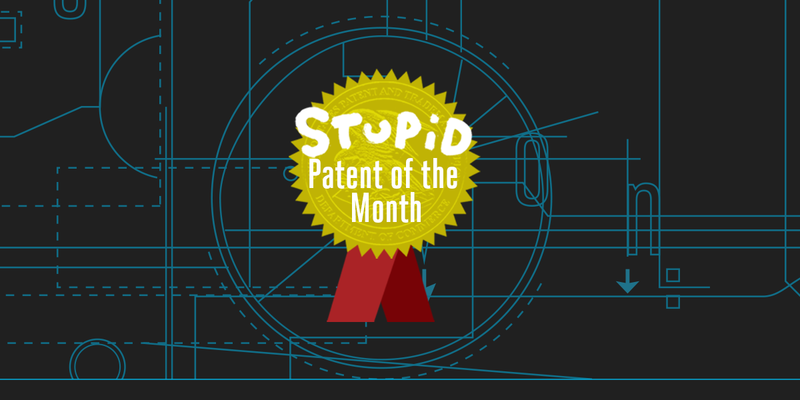 Stupid Patent of the Month: Alleged Cult Leader Wants to "Improve Performance"